As you know James Hetfield is actively using Instagram now. 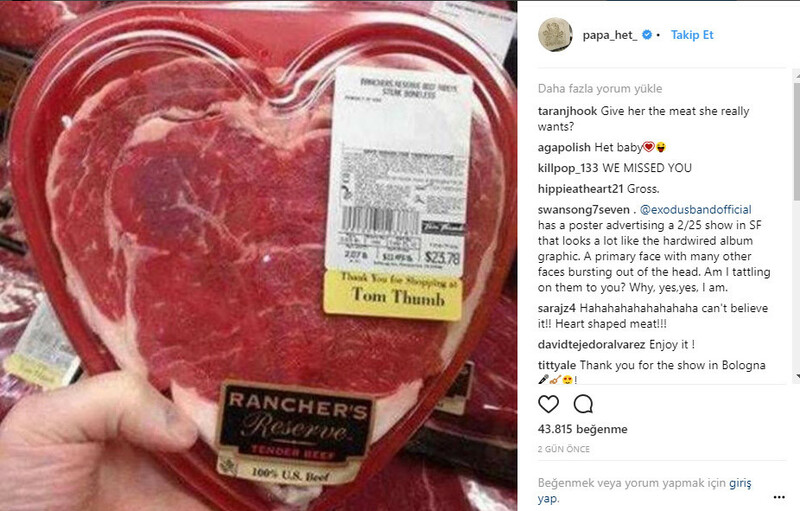 On Valentine’s Day, he shared a very funny post on his official Instagram account. You check the photo from below. Metallica frontman James Hetfield abandoned his Instagram account years ago. And now he’s back. He announced that he would start using Instagram actively. Click here to check his valentine’s day post on Instagram. 2 years ago, James Hetfield spoke in an interview with The Canadian Press and explained why he abandoned his Instagram account. Click here. If you want to know that why James Hetfield come back to Instagram, click here and read his statement.